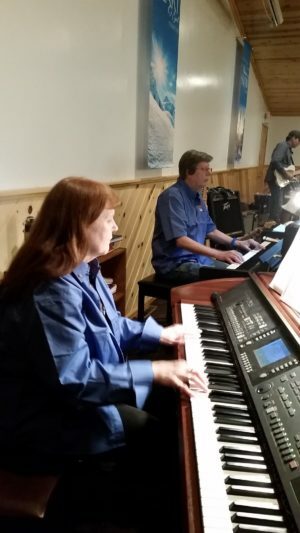 Popple Ridge Pickers Key Boards | "Northern Crossings"
The Pickers have two wonderful Key board folks. This is Janelle Hostrup and I think Bruce Steen. I haven’t got the names down yet – we have only practiced twice but it was sure fun. Concert is at the All Faiths Chapel to support the worshippers chosen mission Project 24. Hope to see you all at 4PM at the Life Skills and Transition Center.